Before you install Mac OS X Lion, take a moment to check if all applications on your computer are compatible with the new OS. The reason why you need to do so is because Lion no longer supports Rosetta. Rosetta is the underlying technology built into Mac OS X that allowed older Mac applications written for the PowerPC platform to run seamlessly on Mac OS X -- in fact Rosetta worked so seamlessly that many of us did not even realize it was running behind the scenes. Click the Apple icon on the left of your Mac's title bar, and choose the About This Mac option, as shown in Figure 1, below. This will bring up a window of the same name as shown in Figure 2. Click the More Info... button. 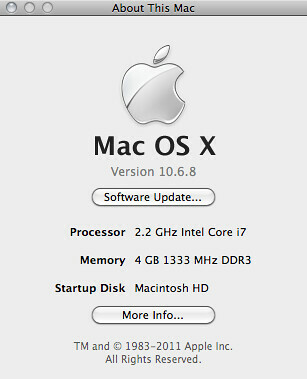 You will now see the System Profiler window that provides detailed information about almost everything about your Mac. Scroll down the sidebar on the left until you see the Software category. Once you click the triangle to its left, you will see several other options. Click the Applications option, as shown in Figure 3. Now the window shows all the applications installed on your computer -- note that there are columns in this window -- click the Kind column header to sort all your installed applications based upon what kind they are, such as PowerPC, Intel, Universal, etc. Scroll down to where you can see a list of all your PowerPC applications, as shown in Figure 4. 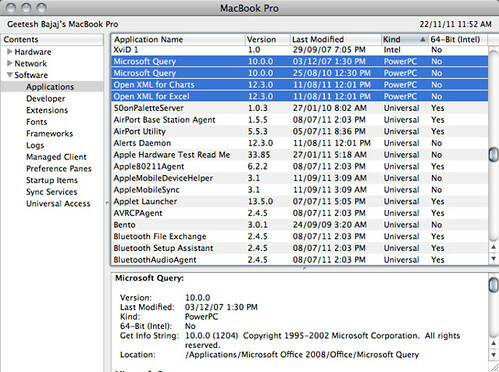 Note that all the PowerPC apps highlighted in Figure 4 are actually small applets that are part of Microsoft Office for Mac. In my case, these are Query and OpenXML apps that will not hinder the use of Office 2008 and 2011, so I am just going to let them be and wait for Microsoft to provide an upgrade -- fortunately, Microsoft has put up a post to show their commitment in resolving these issues. 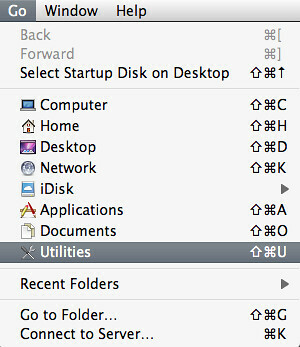 If you have older apps that provide no such options, you will no longer be able to use them when you upgrade to Lion. One option for you in that case is to create a dual boot system that lets you decide whether you want to boot to Lion or an older version of OS X - CNET has a great article that discusses this approach. Note that System Profiler only lets you see which programs are PowerPC specific -- it does not let you uninstall them. 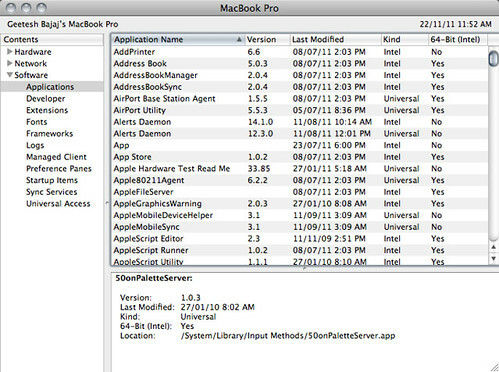 You can retain these applications when you upgrade to Lion, but the programs themselves will not be able to run within the Mac OS X Lion environment. 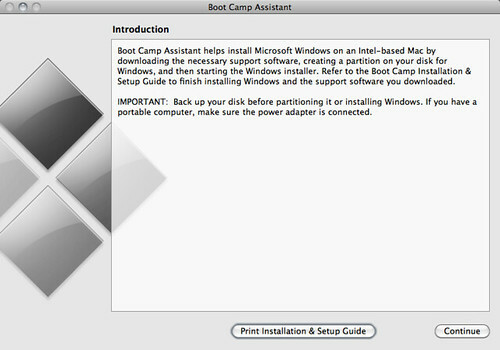 Once you click the Start Installation button within Boot Camp Assistant, it is assumed that your Windows install disc is in your optical drive -- either a drive on your system or an external drive. Thereafter your Mac will reboot, and start off the Windows install disc to begin installing Microsoft Windows to your newly created Boot Camp partition. If all goes fine, then that's great. But if you see an error -- maybe there is an error reading your disc or some communication error. First ascertain that you are indeed stuck and cannot proceed -- then hold the Power button on your Mac to shut down the computer. Thereafter, hold the Option (Alt) key while you restart your computer. Most probably you will see a menu with a single option that lets you boot to your Mac OS -- choose this option and boot into your Mac OS X partition. Make sure you have an alternative installation disc or another optical drive -- maybe you can attach an external optical drive. Then ascertain that the Windows install disc is now accessible. You can next start Boot Camp Assistant. The first two screens will be similar to what you see when running Boot Camp Assistant for the time -- but the third screen will differ. Since your Boot Camp partition has already been created, you won't be asked to carve a new partition at this point of time. Rather you will be presented with the two options you can see in Figure 1. 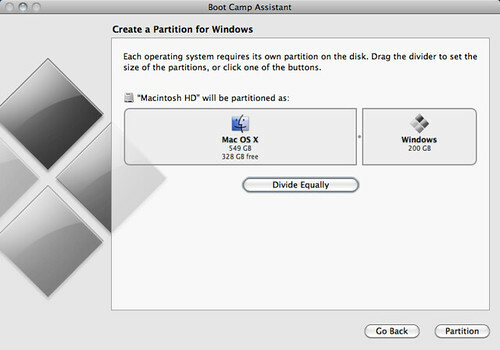 Create or remove a Windows partition: You can choose to create a new Boot Camp partition -- or delete any existing Boot Camp partition. Start the Windows installer: Lets you restart the Windows installer. To launch the Windows installation again, please choose the second option and click Continue. This will reboot your computer and start the Windows installation again. Once you have launched Boot Camp Assistant and made sure you have the additional software you need (such as Windows drivers for your Mac hardware), you will get to the screen that asks you to partition your Mac hard disk to carve out a Windows partition, as shown in Figure 1 below. By default, you may be asked to create a partition as small as 20 GB -- that's far too less for any practical use. Use as much space as you can spare -- yet do not get tempted to use the Divide Equally option if you have a very large hard disk. As you can see in Figure 2 below, I decided to carve a 200GB Windows partition. Click the Partition button to proceed. Boot Camp Assistant will now partition your hard disk, as shown in Figure 3 below. Once the partitioning is done, note that your Mac OS X desktop will show a new hard disk partition called BOOTCAMP, as shown in Figure 4. 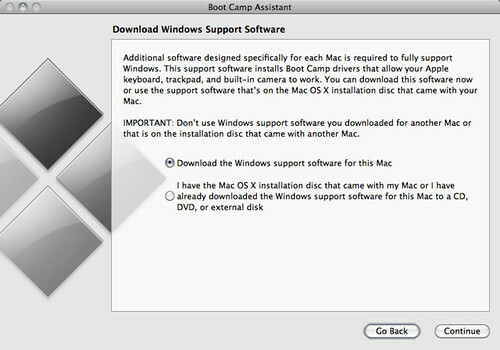 Boot Camp Assistant will prompt you to insert your Windows installation disc, as shown in Figure 5. Insert your Windows install disc, and click the Start Installation button. In the next post in this series, you will learn what happens next. Close all applications on your Mac so that you can just see your Desktop. Choose the Go | Utilities menu option, as shown in Figure 1. 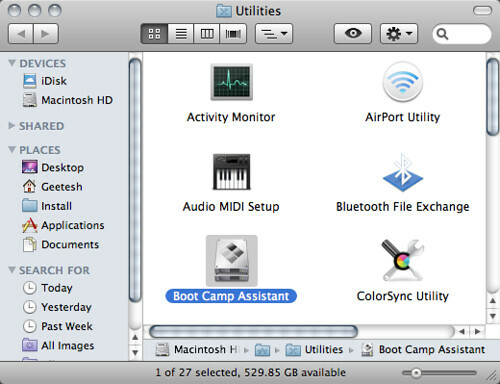 This opens the Utilities folder within your Applications -- here you will find the Boot Camp Assistant application, as shown in Figure 2 -- double-click to launch the Boot Camp Assistant. This summons the Boot Camp Assistant's first screen as shown in Figure 3. As shown in the screen, Apple recommends that you back up your entire disk before proceeding -- assuming you have backed up your important stuff, proceed by clicking the Continue button. You are now prompted to either download the additional software that you will need after installing Microsoft Windows 7 (see Figure 4) -- this is typically the drivers for your Mac hardware and are included in the original DVD or CD media that was in the box that contained your Mac hardware -- most of the time this is the same media that you use to do a Restore of your Mac software. Even if you don't have this additional software handy, you are allowed to download it now from the Apple site. Most of you who upgraded from Snow Leopard to Lion using the Mac AppStore will have to choose the download option since you probably have no media. If you do have the media, or have already downloaded the software before, you can go ahead and choose the second option. However if you choose the first option to download the additional software now, be prepared for a fairly large download. Make your choice and click the Continue button. Figure 4: Do you need the additional software? Assuming you chose the Download option, you might next see a window asking you to input your admin password. Enter your password, and click OK. 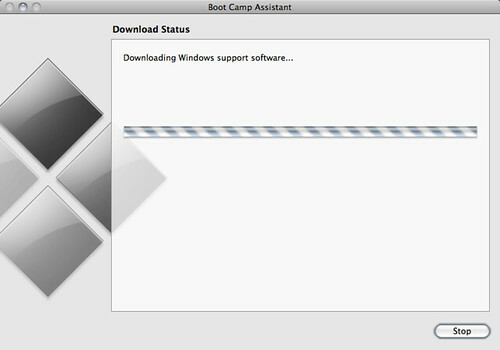 Boot Camp Assistant will now start downloading the drivers and other software, as shown in Figure 5, below. In the next post in this series, I'll show you what you need to do next to get Windows 7 installed on your Mac using Boot Camp. An Intel based Mac -- that's almost any Mac sold in the last few years. An optical drive -- typically at least a DVD drive these days. Your Mac OS X Snow Leopard or Lion DVD, depending upon which version of OS X you have installed. This contains the drivers you will require to run Microsoft Windows 7. This can either be the DVD media that was included in the box containing your Mac or even an upgrade CD or DVD you bough (in case of Snow Leopard). Since Lion upgrade installations were mostly made available via the Mac AppStore, you will be allowed to download the Windows 7 drivers when you launch the Boot Camp application -- in that case, you will also need blank CD, DVD, or USB media for installation of Windows 7 drivers for your Mac computer. OK -- you can create a Lion install DVD from your download from the App Store -- but I have not tried it to install Windows 7 drivers for Boot Camp -- if it works for you, do send me a line here. At least 16 GB of free hard disk space for 32-bit versions of Windows 7, and 20 GB or more space for 64-bit versions of Windows 7. A full version of Microsoft Windows 7 -- among the separate versions, Home Premium, Professional, or Ultimate are supported in both 32-bit and 64-bit editions. Once you have all these ready, you need to spare around an hour or two of your time -- it actually takes much less time but it is good to not do this task in a hurry. 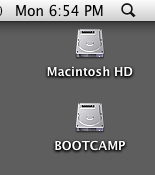 Boot Camp is a technology built within Intel chip based Macs that allows you to create a separate partition in your Mac OS hard disk that can run Microsoft Windows. This separate partition is created from within the existing Mac OS hard disk without deleting any of your existing Mac data -- it goes without saying that you need plenty of hard disk space to create a Boot Camp partition. Boot Camp is probably the only technology that lets you run Mac OS X and Microsoft Windows on the same hardware without any virtual machines -- this means no emulation is required and you are running Windows on a normal computer -- the Apple hardware is functioning like just any hardware from HP, Dell, Lenovo, Sony, or Toshiba -- or any other vendor. 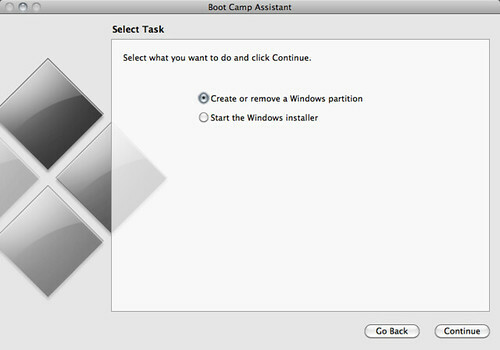 Earlier versions of Boot Camp let you run Windows XP and Windows Vista -- but Mac OS X Lion only lets you run Windows 7. After you install Boot Camp, you can hold the Option (Alt) key on your Mac's keyboard to bring up the screen that you see in the Figure below -- here you can choose to boot into either the Mac OS X or Windows 7. You can also set either Mac OS X or Windows 7 as the default boot -- you will learn about this process in a future blog post. In future blog posts, you will also learn more about what you need to install Windows using Boot Camp, and how you actually complete the process. Meanwhile, you can learn more about Boot Camp on the Apple site. Typically all sites that I end up visiting are created by geeks for geeks -- I tried in this post to make things very simple -- simple enough for a 10 year old to understand and yet relevant to you even if you are a geek -- if you want to share some feedback, do get in touch through this feedback form -- have a great day! This is a really cool idea -- you can create your own quick picture of Albert Einstein teaching a class and writing something with chalk on a blackboard. You just type in your text, and pronto -- the picture gets created -- and it does look quite authentic -- not authentic enough to stand witness but good enough to bring a few laughs! 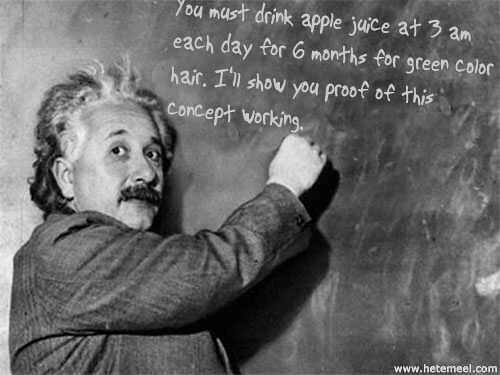 To get your own Einstein picture, go to Hetemeel.com -- they have several other image generators including one of George Bush and also Microsoft Clippy! 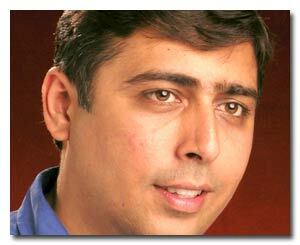 You can probably use these pictures in your next PowerPoint presentation?